Summer’s End is Coming…But My Glow is Here to Stay!!! As someone who grew up in NY and spent 40 years of my life there, I experienced 40 summers getting more than my share of sun damage. It seems that people who live in climates that experience cold winters try to squeeze as much summer into three cherished months as possible. You just know that the short, sun-deprived, snowy days of winter will be coming. When I first moved to California, I luxuriated in having sunny days about 10 months out of 12, happily soaking in those mythical Los Angeles solar rays. 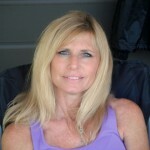 I now never take a sunny day for granted and always look forward to a sunny tomorrow! Most of the sun exposure I get now does not involve dangerously baking my skin as I did in my teens and twenties, but is more incidental sun exposure by just being out and enjoying the outdoors, gardening, reading, doing errands, watching kids’ soccer games and walking the dog–not basking for hours trying to achieve the improbable: transforming fair & freckled into bronze & glowing. I don’t know why bronze & glowing will always be so attractive to me but maybe it’s that most people want the opposite of what they have or because of growing up with only 3 months of warm weather. In pursuit of that even, healthy-looking glow, I now turn to self-tanners & bronzers more than the sun and there are some really great vegan & cruelty-free products available. It seems like it’s the safer alternative right now (if tan is what you must have) when we have to be vigilant about sun block and careful about avoiding the sun during certain hours. When the end of summer is in sight and chillier, shorter days (yes, even in LA!) will be here before we know it, I like to know that I can extend the “glow” with these sun-cheaters and look like a day at the beach when it’s really been a day at the computer! An exfoliating self-tanner with antiaging properties and vitamin D. Alpha Beta Glow Pads provide a radiant, sun kissed glow year-round, without exposure to the sun’s harmful UVA/UVB rays. 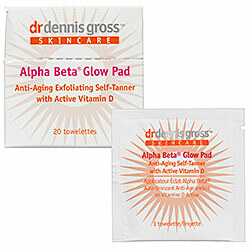 Formulated with the sun vitamin, Active Vitamin D, these pads give the face believable, natural color. Microencapsulated DHA and soy proteins deliver odorless, streak free color deep into skin to prevent fading through surface exfoliation. Alpha- and beta-hydroxy acids penetrate the skin to exfoliate, tighten pores, eliminate blackheads, and help fade existing sunspots for an even, streak-free glow. 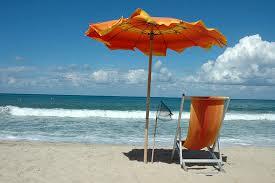 Vitamin D is known for enhancing the benefits of other vitamins and antioxidants found in the formula. This product is gentle enough for all skin types, vegan, and cruelty-free:Parabens, sulfates, synthetic dyes, petrochemicals, phthalates, GMO’s & Triclosan. Dual-toned bronzer is a silky combination of a rich, golden bronze and a classic bronze with a touch of pink undertone to achieve year round bronzed perfection that mimics a natural tan without any of the orangey ick! 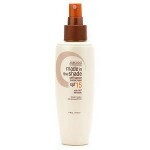 Universal Shade: Perfect for all skin tones to provide a medium tan tone. Easy to apply shades can be used to shape and contour, or to produce an all-over rich glow. Stay away the sun’s harmful rays by faking your bake. No parabens. 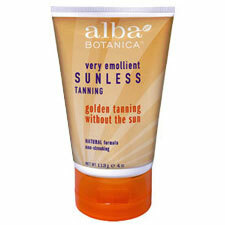 Very Emollient Sunless Tanning from Alba Botanica offers a natural, non-streaking golden tan for face and body without the sun. Light textured and fast absorbing lotion. 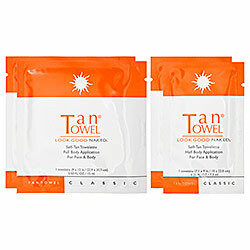 Absorbs quickly for natural looking color in less than 3 hours. Enriched with vitamins, herbs and pure plant proteins for optimum benefits. An infusion of aloe vera, chamomile, ginkgo biloba, and green tea soothes and repairs, protecting sensitive skin against the free radical damage. For all skin Types. Stay in the shade and develop a deep, dark tan without the damaging effects of the sun, thanks to this spy 15, botanically-based self tanner. Key ingredients are avocado oil, arnica, chamomile, linden and rosemary extracts. A revolutionary maracuja-infused face and body self tanner. Achieve a healthy faux-glow while drenching your skin in moisture. This revolutionary hybrid gel formula, infused with pure maracuja oil, delivers replenishing essential fatty acids along with skin-brightening and youth-preserving vitamin C. tarte’s proprietary PUREshield™ scent-control technology allows for a pleasant, spa-like application that smells unlike any self tanner you’ve tried before. You’ll be admiring your newly bronzed bod, your skin will feel and look firmer, brighter and smoother soaking in all of the benefits of maracuja oil. 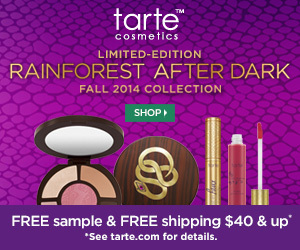 A longwearing mineral-based bronzing powder infused with Amazonian clay for a healthy, natural looking glow. 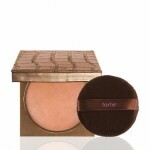 This fragrance free bronzer delivers sun-kissed radiance in a lightweight finish without clogging your pores. 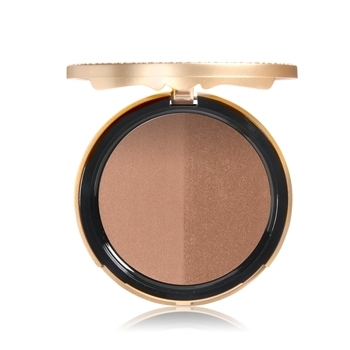 It blends and builds effortlessly to your desired level of natural-looking bronze and its high sheen compact is perfect for achieving an on-the-go glow. Amazonian clay: nature’s most perfect ingredient acts as a total skin balancer by reducing dryness and flakiness, improving clarity and texture, and removing surface oil for a true Brazilian bronze bombshell finish. An Amazonian clay and annatto infused waterproof body bronzer with an easy-to-use puff delivers a seamless, streakless application for a naturally radiant glow, while treating your skin with nourishing ingredients. This waterproof body bronzer flatters all skin tones. It comes with an easy-to-use puff for a seamless application that reinvigorates a dull tone with a warm, natural looking glow, while the nutrient-rich Amazonian clay replenishes and hydrates skin. Amazonian clay: Amazonian clay acts as a total skin balancer, by hydrating all skin types, reducing the appearance of dry, flaky skin, improving clarity and texture, and removing surface oil to set the stage for a smooth application and long wear. Annatto: Pure Brazilian annatto delivers natural color pigments to skin for a dose of bronze that is blendable and buildable for customized color. 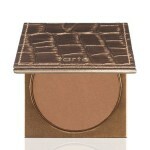 I’ve been using Tarte’s Amazonian Clay Bronzer in the Park Ave Princess color for years! I can’t wait to try some of these other products.